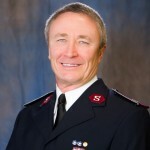 By Lt. Col. William Mockabee, National Secretary for The Salvation Army World Service Office (SAWSO). The Salvation Army World Service Office (SAWSO) releases its annual report for 2013 today, with the theme of “Love Works”. Read the report to witness first-hand The Salvation Army’s work in local communities around the world. You will see how SAWSO programs encourage the growth of small income-generating activities for villagers in India’s Central Territory, and provide business skills, literacy training, a school and a safe places to stay to women in Mumbai’s red light district and their children. Discover how another program fights polio in Angola through education and supporting national immunization days. Watch traveling youth drama groups perform skits in villages while local pastors engaged the crowd, encouraging them to go for voluntary HIV screening and testing in Zambia. Celebrate the lives of fishermen in Japan as they are rebuilt with equipment and vehicles to replace those washed away by a tsunami. You are invited to download and view the entire report here. At The Salvation Army World Service Office (SAWSO), we believe this is true for three reasons. Love is effective. I have personally witnessed the transformation that love can bring about in the lives of individuals and communities while travelling to several countries to support international work, and while serving for three years in Sri Lanka. From my perspective as leader of SAWSO, I’m given the daily gift of glimpsing the breadth and scope of the work The Salvation Army does on a global scale. There is no greater blessing than knowing that a loving God is using us as a tool, and that He gave us the power of love to transform lives of people living in poverty, women and children living in powerlessness, or people brought low by an unforeseen disaster. Work done with love reflects God. We are acutely aware of how God has uplifted us, and given us hope and purpose. At SAWSO, we proactively seek out opportunities to help others experience these same blessings. We aspire to always be active catalysts for lasting change. The fullest fruits of love, inspired by God, can only be brought about through maximum effort. From our most closely held internal processes to field work in the most distant and remote villages, SAWSO team members work diligently with, and in service to, all of our stakeholders, donors, partners and beneficiaries. We thank all of your for joining us in our commitment to achieving sustainable results, maximizing resources, and multiplying our effectiveness through collaboration. Love, then work. That is the way to do the most good. May you recognize God’s love in your lives and may you enjoy discovering ways to share it.